Ketogenic Diet for Weight loss and All Other Benefits Against Diabetes! Accurate Urinalysis Test Strips – Ketone Measurement Prepared for Ketogenic Diet, Cyclical Ketogenic Diet, Atkins Diet and Paleo Diet… ANY form of a Low Carb Diet. Add this to your Ketogenic Diet Plan and be successful. Recommended in many Ketogenic Diet Books! Our Smackfat Ketone Test Strips were created to support the low carb/high fat journey of the promising ketogenic diet aka ketosis diet and Atkins Diet. Smackfat was manifested by Kaba, he defeated his obesity by losing 85lbs in 4 months. Since then, the Smackfat brand has been focused on educating and helping all that are willing to give keto a fair shot at making their weight goals a success. With smackfat, you will never go at this alone. Our support group consists of like minded people all striving to reach similar goals. 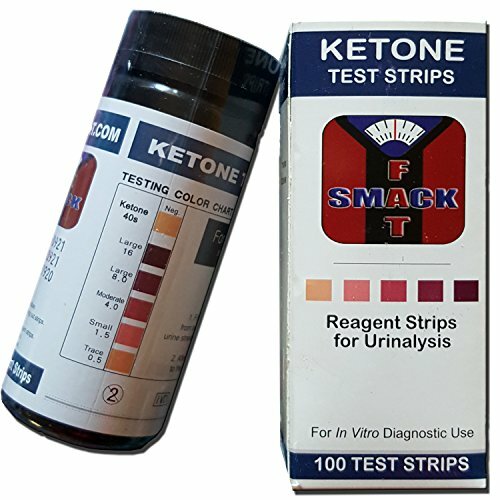 Get Your Smackfat Ketone Test Strips Today!